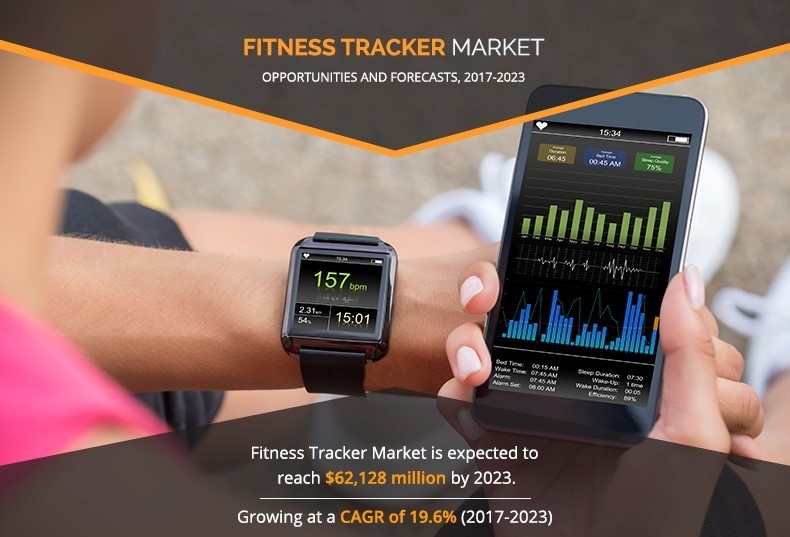 The Global Fitness Trackers Market size was valued at $17,907 million in 2016, and is expected to reach $62,128 million by 2023, registering a CAGR of 19.6% during the forecast period. Fitness tracker is a device used to record and monitor fitness-related body activities such as steps taken, distance walked, sleep duration, heartbeat monitoring, and others. These devices are connected to the smartphone or computers via wireless connectivity mediums. The growth of the fitness trackers market is driven by increase in trend of wearable technology among the youth. Moreover, the preference for these devices by the old population has increased, owing to rise in healthy retirement trend. In addition, these devices include high-end activity tracking features and interactive operating systems, which boost the demand for these devices. However, high cost and risk of data theft by tampering connection of these devices restrain the fitness tracker market growth. On the contrary, rise in trend of Internet of Things ecosystem and increase health consciousness among consumers are anticipated to provide growth opportunity for the fitness tracker market in the near future. The report segments the global fitness tracker market on the basis of device type, display type, sales channel, compatibility, and geography. Based on device type, the market is categorized into fitness bands, smartwatches, and others. By display type, it is classified into monochrome display and colored display. In terms of sales channel, it is divided into online and offline. Depending on compatibility, it is fragmented into iOS, android, windows, tizen, and others. iOS was the highest contributing compatibility mode in 2016, and is expected to remain dominant throughout the period. Geographical breakdown of the market includes North America, Europe, Asia-Pacific, and LAMEA. Wristbands and smartwatches are most prevalent segments of the fitness tracker market. Live data monitoring, ease to access smartphone features, and compatibility with wide range of operating systems of smartphone are some of the factors propelling the demand for wristband and smartwatches. However, some customers use other fitness trackers such as clip-ons and fitness straps for counting total distance covered while walking and running. Online sales segment is anticipated to increase sales of fitness tackers, owing to some of the noteworthy benefits of online shopping for consumers such as attractive deals, ease of shopping, and faster shipping. However, skilled workforce with high knowledge of the product & physical demonstration of the product are some of the major factors, which increases sales of fitness tracker through offline sales channels. The demand for fitness trackers in Asia-Pacific is expected to rise, owing to increase in population rate, advancement in technology, and stable economic growth. Fitness trackers are widely accepted by the Chinese customers, owing to increase in awareness towards fitness among the people in this country. Change in standard of living, increase in number of fitness enthusiasts, and rise in youth population are primary factors that drive the growth of the fitness trackers market in Japan. The key players profiled in the report operating in the fitness trackers industry include Fitbit Inc., Samsung, Xiaomi Inc., Jawbone, Nike, Adidas, Misfit Inc., Shenzhen Motto Electronics Co. Ltd., Google LLP, and Apple. Inc. This report provides an extensive analysis of the current trends and emerging estimations in the global fitness trackers market. 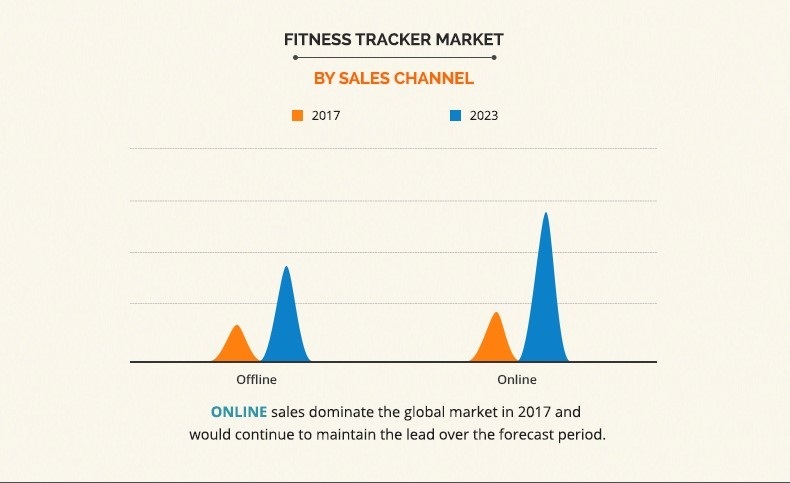 In-depth analysis of the global fitness trackers industry is conducted through market estimations of key segments from 2017 to 2023. Comprehensive analysis of factors that drive and restrain the growth of the global fitness trackers market is provided in the report. 9.10. Samsung Electronics Co. Ltd. Fitness trackers are devices useful for recording, monitoring, and storing the fitness-related data of the consumer. Fitness band and smartwatches in the fitness trackers industry are the widely accepted fitness trackers due to their customizable aesthetics. On the other hand, clip on and fitness straps are widely used as hidden trackers by consumers who are fashion conscious. In addition, fitness data monitoring in smartwatches is more enhanced, owing to the color display of these devices. Fitness bands are widely accepted by fitness enthusiasts and adventure sports enthusiasts, due to the functioning and sturdiness of these fitness bands. Improved living standards and customer consciousness towards fitness are expected to propel the demand for fitness trackers during the forecasted period. 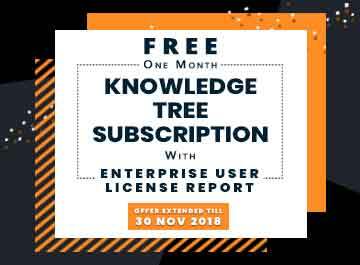 Furthermore, increase in disposable income and exponentially growth in the internet of things ecosystem fuel the growth of the overall global fitness trackers market. However, high cost of device and risk of data theft by tampering the fitness trackers connection with synchronized device are expected to restrain the market growth.